Here is a picture of his wonderful find. Hello - I also have one of the Salesman's awards that you show. It is bright and shiny and is number 618. I always thought that maybe it was for a promotion where every person working at the plant was to act as a salesman for the company. Have never found any written information about it but it was exciting to find one! CORRECTION: Reproduction medals had no number, but rather a raised rectangular bar; see image and explanation below. Last edited by jdnola on Tue Nov 30, 2010 7:17 pm, edited 2 times in total. That is a wild find, tumbleinn! 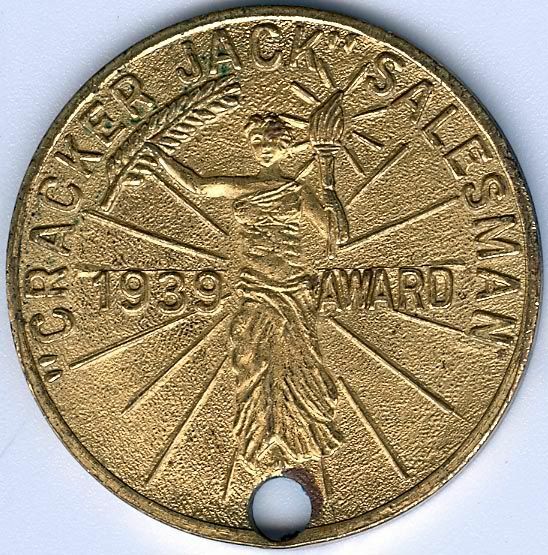 I have posted one of my Cracker Jack Salesman 1938 Award Medals, #507, from my collection. It also happens to be the best condition medal I have in my collection. The hole in the medal was placed there so it could be used on a keychain, worn as a necklace, etc. Notice the very tiny lettering of the maker of this medal, Green Duck Co., Chi.! The origin and purpose of this medal, other than what one sees, is still a Cracker Jack Mystery! In 1983, one of the original members of CJCA showed me this Salesman's award he had purchased. I admired it and later in the year was given a replica one as a gift from him. 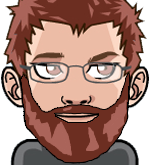 He was careful to have this made a little different from the original so there would not be any problem telling the original from a reproduction. That is why the blank bar was on the back. it was soldered on to make it different from the original. When he had them made, he was told that the minimum order was 100. My husband, a Metallurgical Engineer, said the original has more of a copper look while the restrike appears to be brass. He had my name engraved on the back of mine. Some other members of our group received one also as a gift. The letter with it said that it was "not to be traded or sold so as to keep the art of Cracker Jack collecting pure." Both the original ones as well as the reproduced ones have a hole at the bottom. I always assumed it was to go on a key chain. The one found by the metal detector does show a faint number on the back so it is an original. Welcome to the forums Tammy. Your salesman award appears to be in great condition. As mentioned by CJAAAJ in 2010 (a few post above), very little is known about them. Perhaps someone else has something they can add to the conversation. 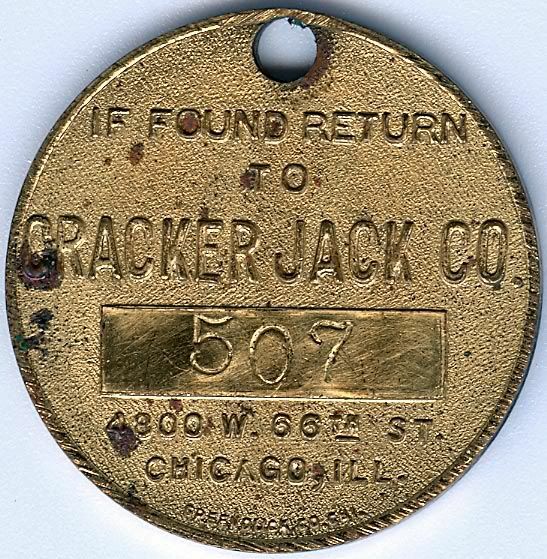 Coincidentally, Caroline & my favorite Cracker Jack prize designer, worked for Cracker Jack from the 30's to the 60's. I wonder if they knew each other.